Learn Your Way is a program offered by Pacific Sands Academy. We offer home school support for teens and families wishing to leave the public or private traditional school system. We support OPTING OUT of your traditional school and pursing individual interests, learning strengths and developing passions. We also support improving the relationships between you and your teen by switching from a paradigm of controlled leadership of your teen to a paradigm of developing a partnership with your teen/ tween, as he or she follows and develops his/her interests and passions using his/her specific learning strengths. We OFFER a personalized coaching program to teens/tweens and their families to help determine natural learning strengths, create and pursue personalized goals, and to find and follow their interests and passions. We OFFER high school diplomas to teens who demonstrate a readiness to move on. This may take one month, or several years. My name is Shauna Reisewitz and I am the director of Pacific Sands Academy. I have over twenty years of experience in public, private, traditional and non- traditional schools. For the past 10 years I worked as teacher/consultant at a Charter Homeschool – SLV Homeschool program. For most of the time I worked there, the school was very “unschool” friendly and I became aware of the vast array of learning opportunities available to young people in their daily lives. During my tenure at SLV Homeschool, I developed a way to give high school students credits for their learning experiences. We turned their highly variable, interesting educational experiences into transcripts complete with narrative documentation and credit valuations. I have a Masters Degree in Ocean Sciences from the University of California at Santa Cruz, where I spent three years conducting field research in Alaska, Baja California, and in Monterey Bay, California. I also have traveled extensively in the South Pacific, Africa, Central America, and served two years as a Peace Corps Volunteer in Vanuatu. These were some of the richest experiences of my life. In addition to the MS Degree, I have a California State Teaching Credential from Humboldt State University, and Bachelor of Science in Biology from University of California, Los Angeles. 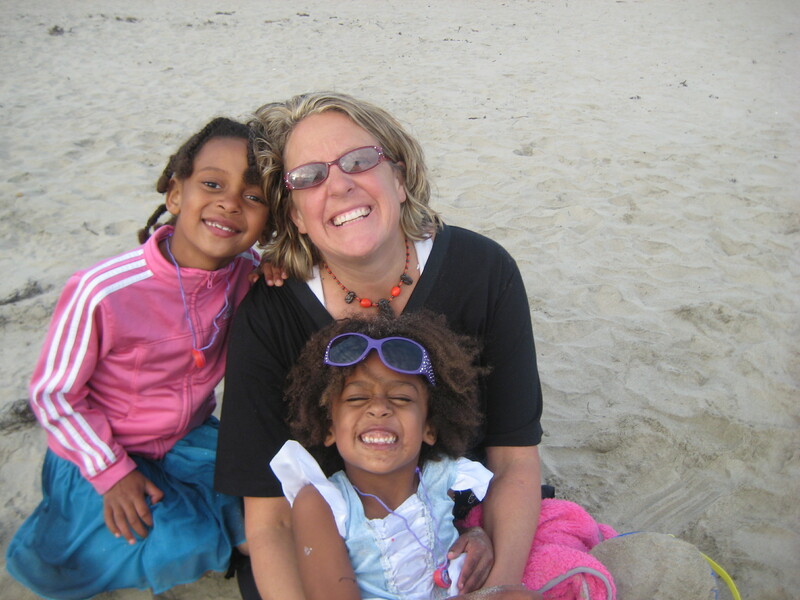 After 23 years of formal education, I realize that most of what I know was learned outside the classroom- spending time in the ocean, traveling, meeting interesting people, raising children and reading, researching, and living what interests me.I am the mother of two wonderful daughters, and homeschool them. I believe that learning happens all the time and seek to help students see the same thing, so that they become enthusiastic lifelong learners in the fields that they chose. For more information about me and my educational and parenting philosophies check out my personal blog- flyingkitesatnight. Pacific Sands Academy is loosely modeled after Beach High School in Santa Cruz, CA. What a great resource for young people. If only I’d found something like Pacific Sands Academy when I was in school! You have some great resources on your site.